Welcome to The Dalles, Oregon. 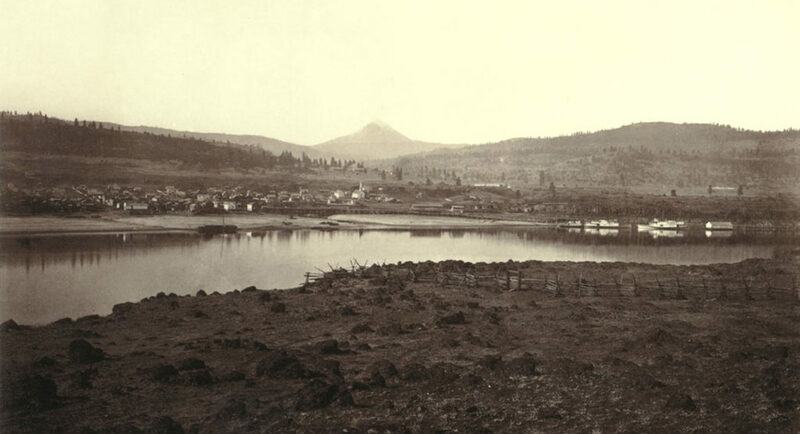 Our town, incorporated in 1857, is the fourth-oldest city in Oregon. However this area has been inhabited by indigenous people for well over 10,000 years, making it one of the oldest inhabited areas in the Western Hemisphere. Whether you are passing through on your way to other adventures, or want to stick around and explore the area, you are welcome. Visit The Dalles murals, viewable on the building exteriors in downtown The Dalles. Check out our lively restaurants, wineries and brew pubs. Take a walking tour. Explore the Columbia Gorge area towns, museums and campsites. Learn about our history. But most of all, enjoy yourself. You’ve now joined the ranks of the pioneers, warriors, mountain men, floozies and scallawags who have walked the rocky paths along Ni-chi-wana, the Big River known to all as the Columbia River Gorge. Copyright © 2019 Historic The Dalles. All rights reserved.